Other childhood disorders and concerns that affect how children learn, behave, or handle their emotions can include learning and developmental disabilities, autism, and risk factors like substance use and self-harm. Read more about related conditions. 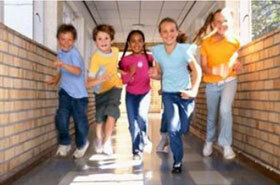 Childhood mental disorders can be treated and managed. There are many treatment options based on the best and most current medical evidence, so parents and doctors should work closely with everyone involved in the child's treatment — teachers, coaches, therapists, and other family members. Taking advantage of all the resources available will help parents, health professionals, and educators guide the child towards success. Early diagnosis and appropriate services for children and their families can make a difference in the lives of children with mental disorders. If you need help finding treatment facilities, use the "Treatment Locator" widget. Childhood mental disorders affect many children and families. Boys and girls of all ages, ethnic/racial backgrounds, and living in all regions of the United States experience mental disorders. Based on the National Research Council and Institute of Medicine reportthat gathered findings from previous studies, it is estimated that 13 – 20 percent of children living in the United States (up to 1 out of 5 children) experience a mental disorder in a given year, and economic costs to individuals, families, and society were estimated to be $247 billion per year in 2007. In order to help children with mental health conditions, the Centers for Disease Control and Prevention (CDC) works with partner agencies to better understand these disorders and the impact they have on children. Read more about research on children’s mental health.